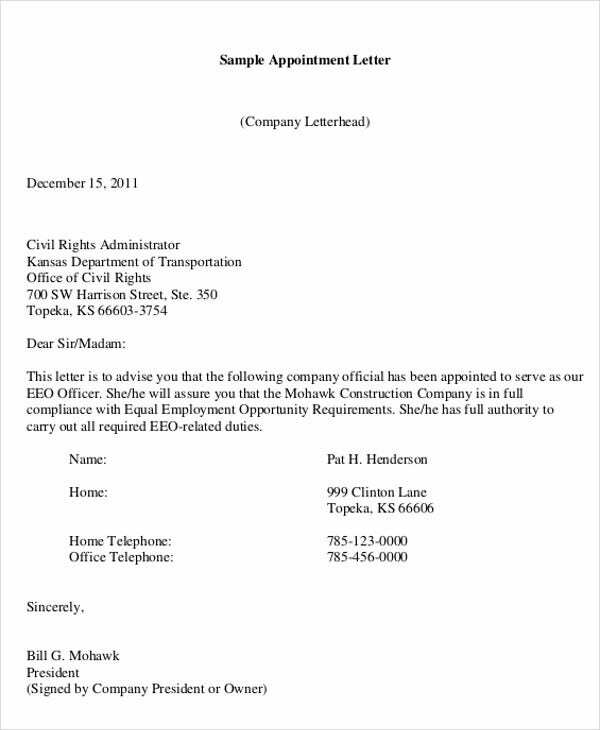 Appointment letters are great for being able to welcome newcomers into the workforce. They do have aspects to them that you need to know how to properly format before you send out to make it look professional. Well, if you’re looking to make one, you’ve come to the right place! We are here to teach you how to write appointment letters. 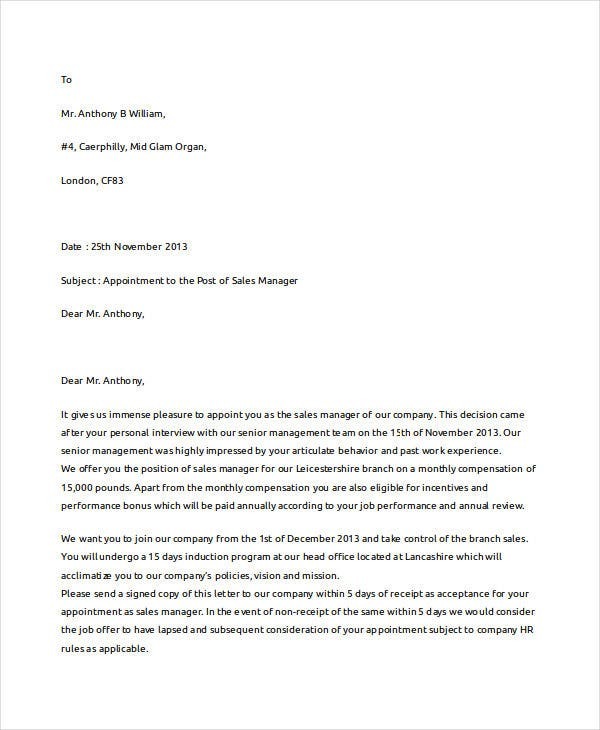 You can use these company appointment letter templates as references to make your very own company appointment letter. We also give a guide on the process of making one. These resume templates are ready-made. Just scroll down below for further information. An appointment letter has certain parts to it that are very important in making it. Making the letter itself isn’t difficult, but you do need to make sure that you have all the information that makes it an appointment letter. Make sure to remember to input in your company’s name the name of the company hiring the recipient. Include details on what position the recipient is being hired for. You also need to include the date and reference number. It should be addressed to the appropriate person using the address that he or she has provided. The heading section should be in bold letters and must be placed at the center part of the letter. There should be a one-line space in between the heading and the starting statement. 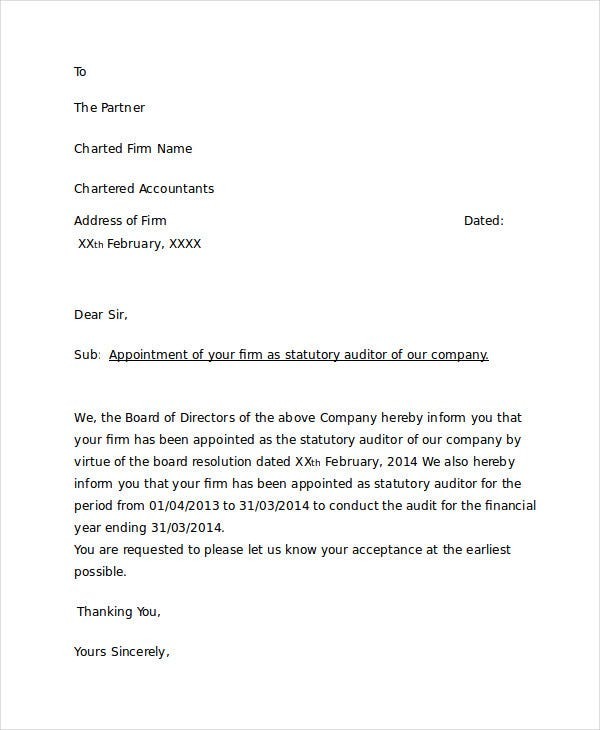 Make sure that the first paragraph shows information that the person responsible is being appointed to a certain task or position. The paragraphs written should outline the standard terms and conditions of employment. Just like when one is making trainee appointment letters where certain terms are also laid out. It must contain information regarding the employee being subject to deployment or transfer to any area that is within the company’s operations. These are the things you need to consider when making an appointment letter. 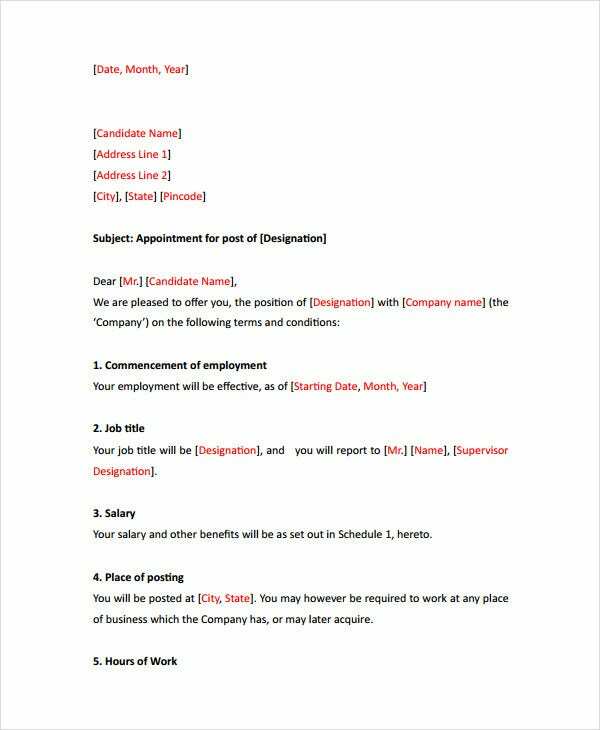 For your company appointment letter making, we highly recommend downloading our modifiable templates, which includes interview appointment letter templates. These are ideal for a faster and more convenient way of making an appointment letter. Check out some of the samples you find applicable. 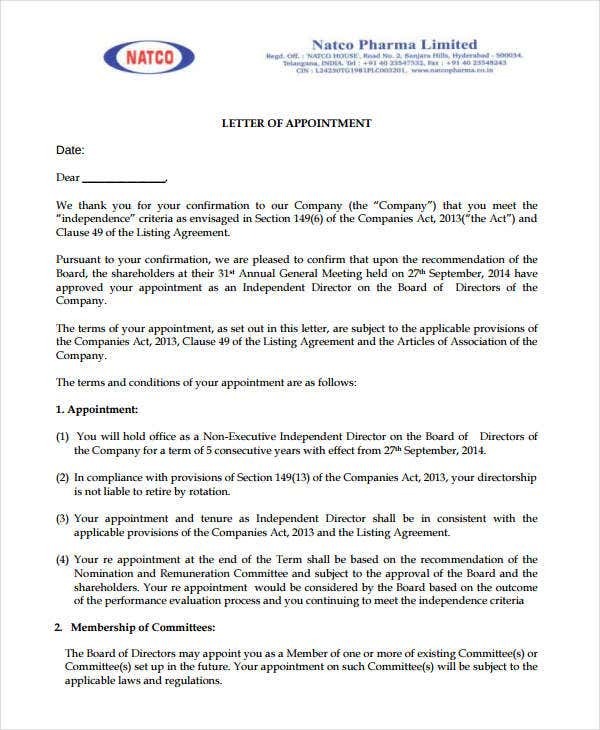 Construction Company Appointment Letter – This letter targets any construction settings. 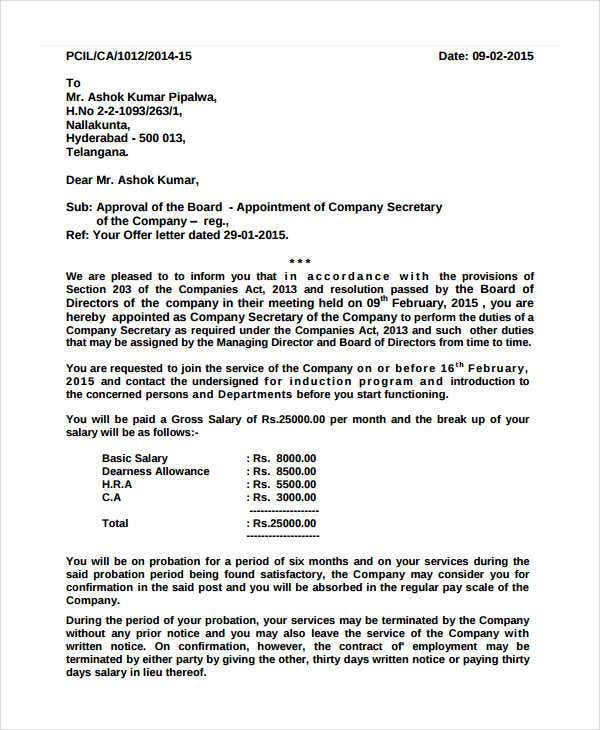 Some details you can see in this letter are the sender’s complete name, name of the organization in which the letter is being sent to, complete contact details, and other related information. 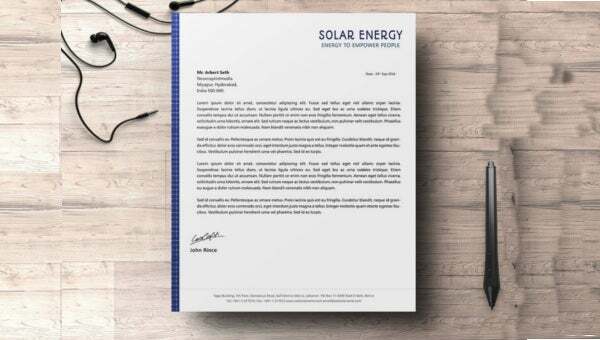 Appointment Letter Format – If you are in the process of making an appointment letter but you’re confused on where and how to start, this template is what you need. It displays right content and appropriate format. If you want, you can download a copy of this template too! 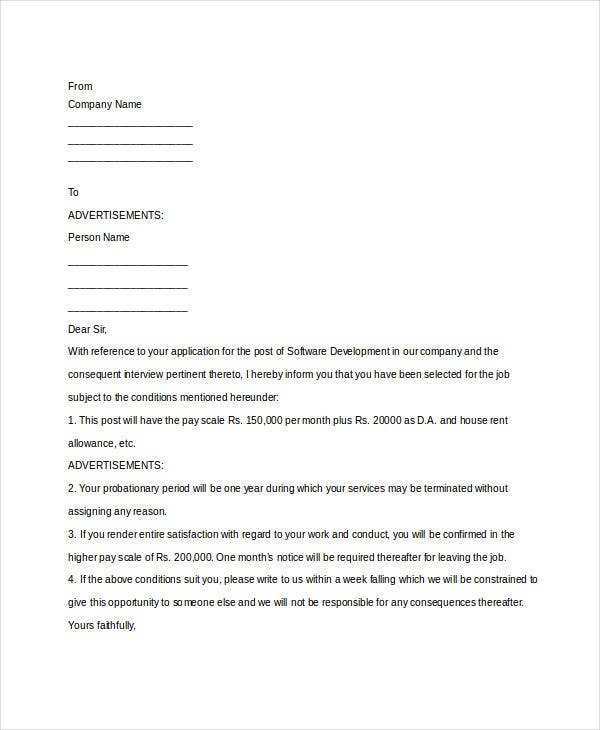 IT Company Appointment Letter – This is what you need if you’re constructing an appointment letter intended for IT settings. So if you’re making one, why not download this template instead. 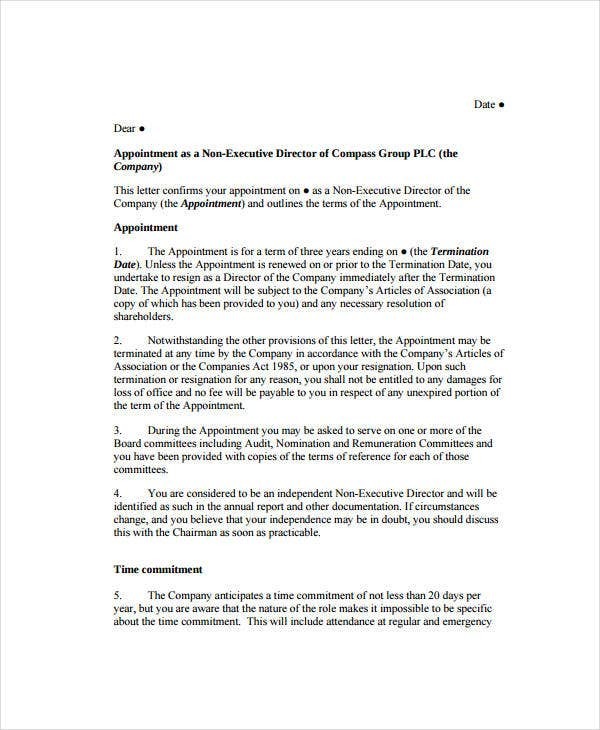 Letter of Appointment for Insurance – For an appointment letter that targets any insurance position, this is the ideal template. 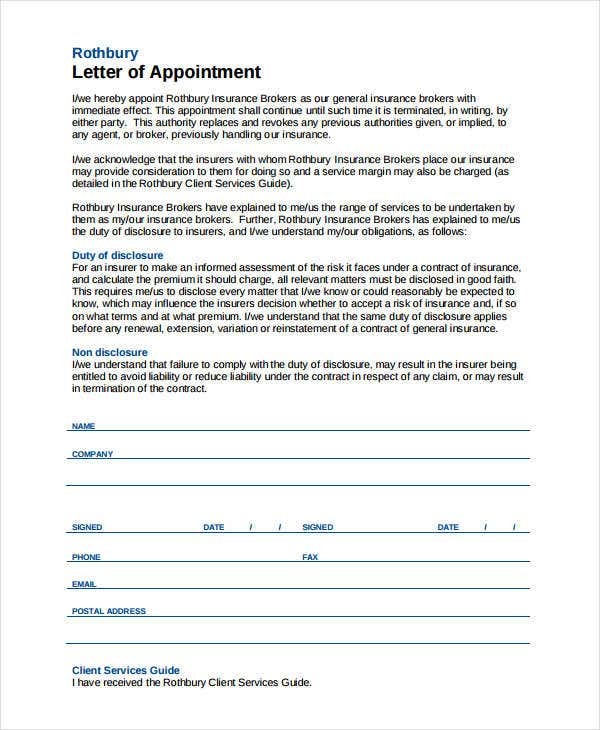 So create an effective and legible insurance appointment letter by downloading this.